Pure genius. 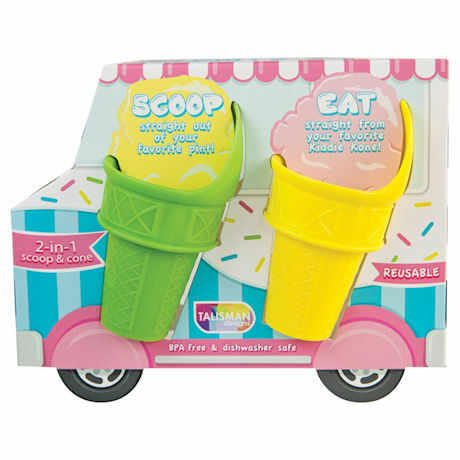 Scoop and eat straight from the pint, with less mess and no dripping. 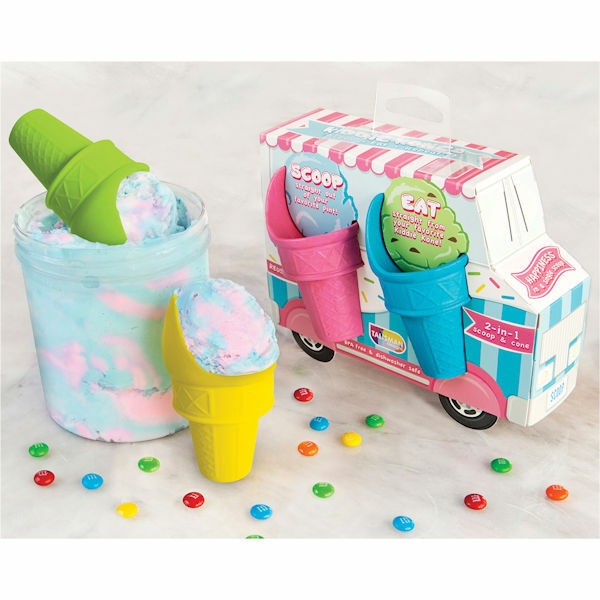 Sized for small hands, Kiddie Kones are washable, reusable, and colorful. They'll stand upright on a counter or table, and they're great for portion control. Food-safe, dishwasher-safe, BPA-free plastic. 3½"high. Set includes one each blue, pink, green, and yellow.